I just bought a new ipad and want to transfer files from the old ipod to the new ipad, So how do I transfer music from ipod to ipad? Have you encountered the above problems ? Or to say have you stored thousands of songs on iPod and want to transfer music from iPod to iPad for enjoyment? Compared with iPod, iPad is more popular with its big screen and features to play videos and take pictures. If you’re frustrated for not knowing how to transfer music from iPod to iPad, then you should cheer up now. 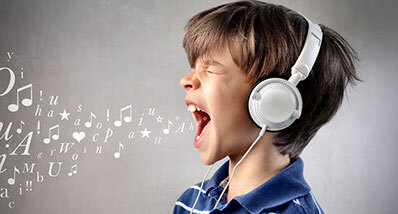 This article offers you 4 ways to transfer music from iPod to iPad. 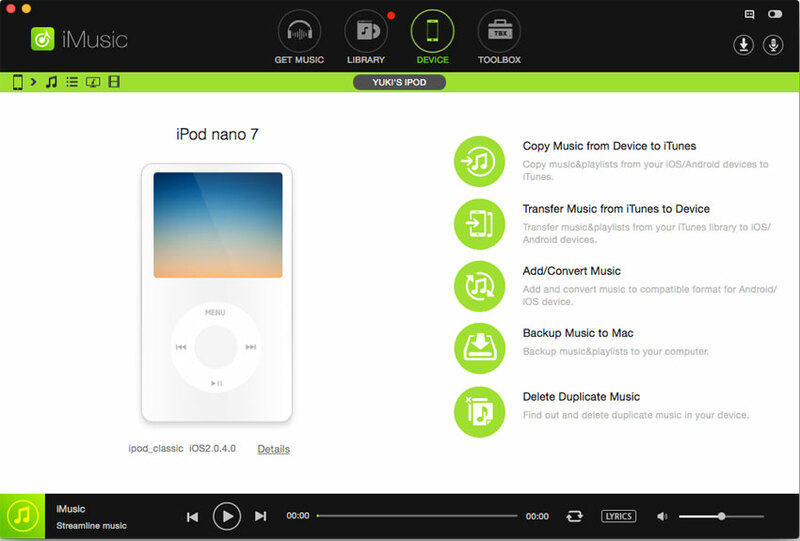 Transfer music from iPod to iPad without deleting any existing files. Transfer music from iTunes library to iPad without authorizing the computer. Transfer music from iPod to iTunes Library/computer/Android phone/iPhone/iPad/iPod and more. Download music from Spotify, YouTube, BBC, etc. over 3000 music sites. Record any music you can play to your computer, then transfer to devices for enjoyment. Firstly, the software can be downloaded from the links give above. After downloading the software, follow the on screen instructions to install it on Windows PC. Connect your iPod and iPad with your computer via USB cables at the same time. <="" span=""> Transfer all music with one click method: Launch iMusic and click “DEVICES”. Make sure that iPod is displayed there. If not, you need to click the device icon on the left side to switch it to the main window. From there, select “Transfer Music to Other Device”, then click the iPad popped-up to transfer music from iPod to iPad on Windows PC. Method #2. 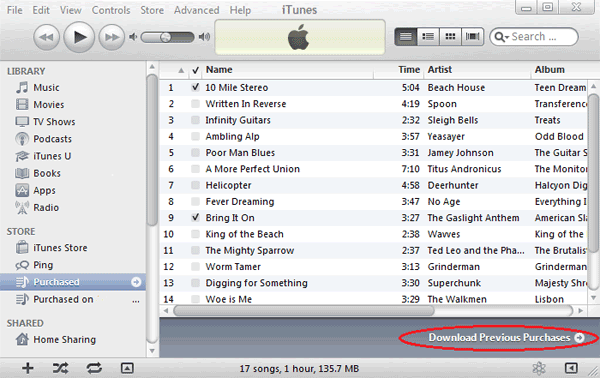 Transfer selected songs from iPod to iPad: Make sure iPod is displayed in the “DEVICE” window of iMusic. Next, click the music icon on the left side to show all songs on iPod. 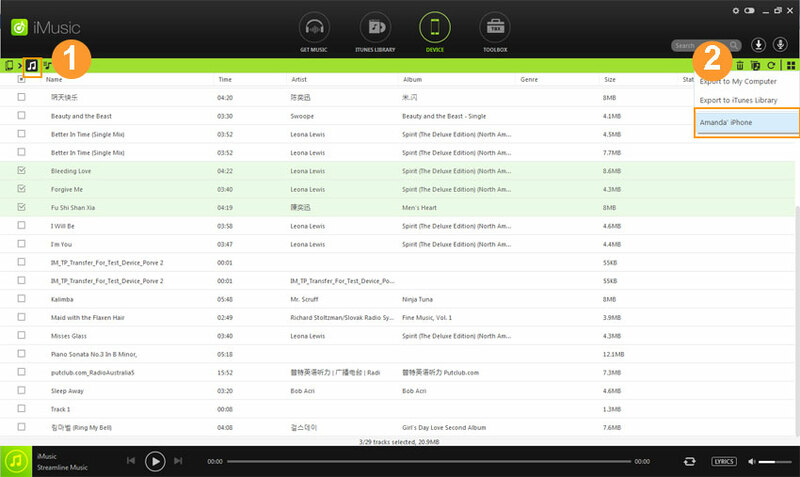 From there, select songs by checking the box before them and click the Export icon > select “Export to iPad”. 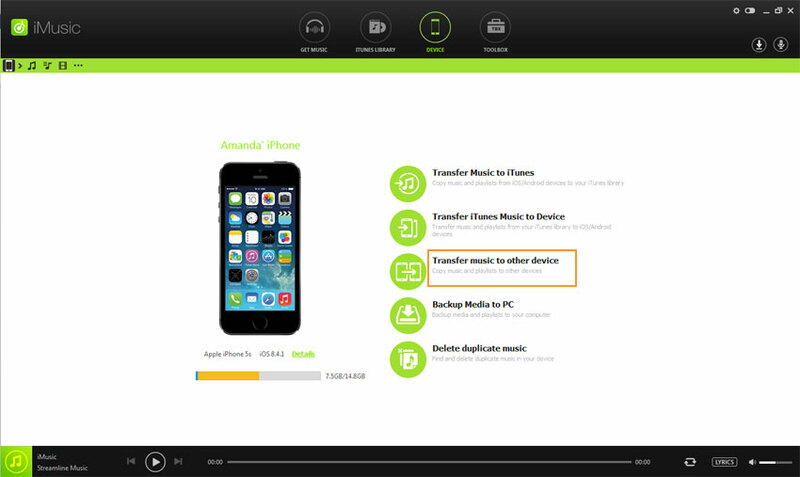 For more related info about ipod to ipad transfer or how to transfer music from ipod to ipad, you could click "transfer music" to know more. Step 1. Connect iPod with computer via a USB cable and run iMusic. Click “DEVICE”, then the music icon on the left side. After then select songs on iPod, and click the “Export to” to save songs to Mac. Step 2. Disconnect iPod from computer and connect iPad with your Mac. Next, click “DEVICE”; then the music icon on the left side. And then click the “Add” button to copy music from your Mac to your iPad. 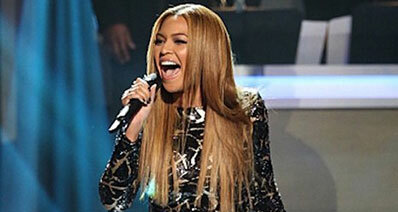 This method will only work for those users who have purchased the tracks from the Apple. 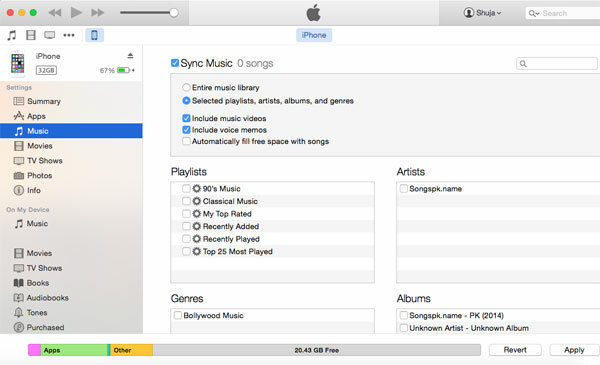 In this method you will have to transfer purchased songs from iPod to iTunes first. 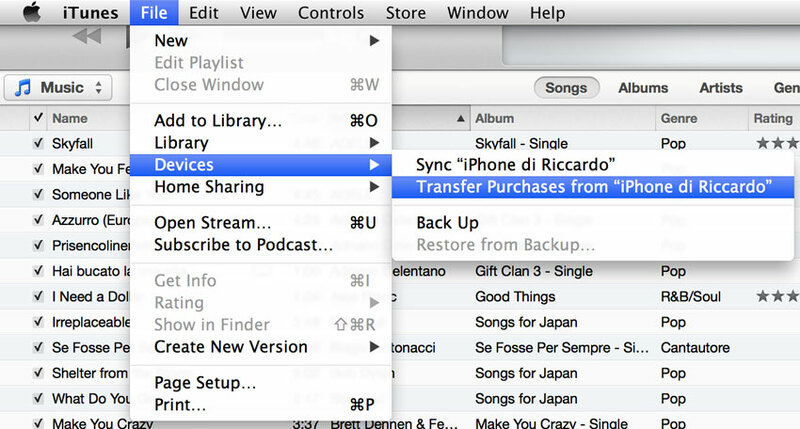 After that, you can sync your iPad with the iTunes and begin the process of sync to complete the transfer. Note: Before you continue, please keep in mind that this method will remove already present tracks on your iPad. Step 1. Launch iTunes on your computer and connect your iPod with your computer via a digital cable. Make sure you have connected your iPod with your computer successfully. Next, click the “File” mention, select “Device”, then choose “Transfer purchases from…” to copy music from iPod to iTunes library. Step 2. Now, connect your iPad with the computer and sync it using the iTunes to move all the songs from your computer to the iPad. There is no way by which you can download Apple music tracks on the iTunes on your Windows computer or Mac. If you want to have them on your computer, you will have to purchase each and every track which may cause you a lot of money. However, if you have sync your iPod with the iTunes and have Apple music on it, you can upload the tracks to the iCloud library and similarly can view them or download them on your iPad to listen them offline. You can follow this guide to view those tracks in the iTunes on your computer. Step 1. Open iTunes and login with your iTunes account. After doing that, click on the "View" button in the top bar. 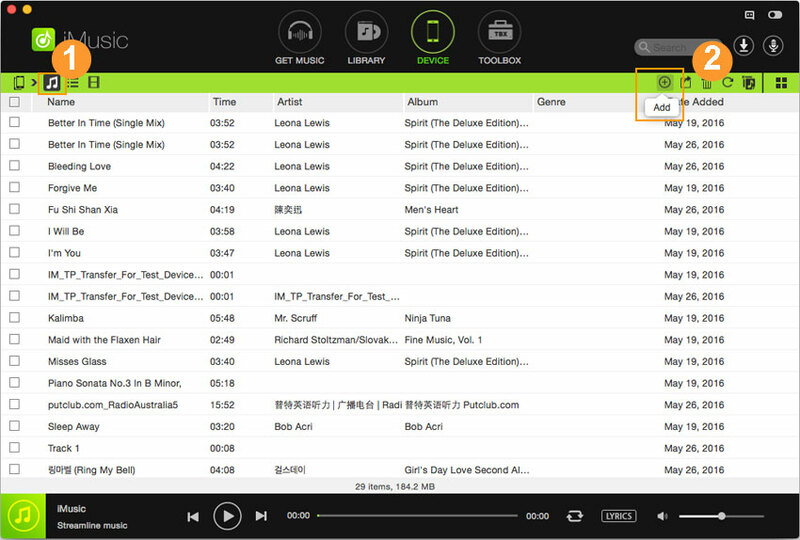 Now select “Show all music” to see all the music shared using the Apple ID on your devices. You can also login to your iPad with the same iTunes account to listen and download these tracks from the Apple Music. Step 2. 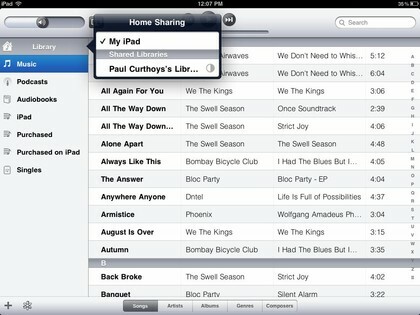 If your iPod and iPad are connected to the same Wi-Fi network, you can use the Home sharing feature to listen all the tracks of your iPod on your iPad without spending a single cent. However, if you don’t have an active Wi-Fi connection, you will not be able to listen to these tracks. Here’s how this track will work. Step 1. Login on both devices with the same iTunes account and launch the music application on your iPad. 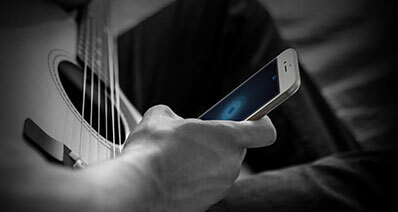 Now, click on "My Music" and "Home Sharing". Step 2. On the next screen, select the library of your iPod and it will start downloading all the tracks of your iPod on the new iPad. 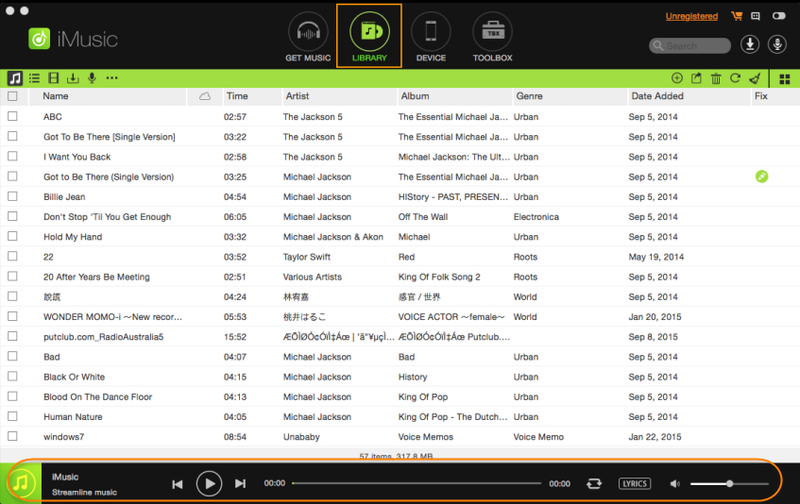 This may take some time but it is another way of playing music library directly from your iPod to the iPad.